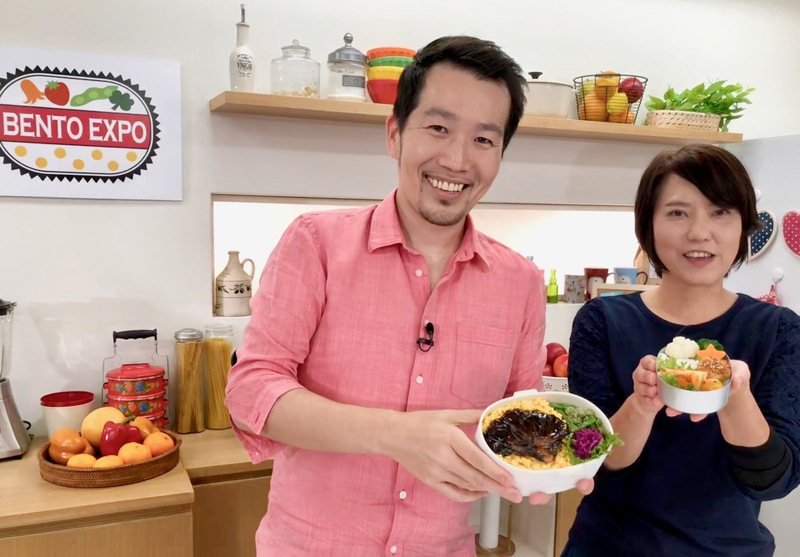 Bento Expo got renewed for another season, so you can catch me on NHK World once a month until September 2018. The first episode of this season airs around the world on December 24, 2017, check here for the schedule near you. In this episode, Maki and I make two teriyaki bentos. Her’s is a Teriyaki Tsukune bento with a fried egg, and I do a vegetarian Maitake Steak Teriyaki bento on a bed of iritamago and rice. Once the episode has aired, you can catch it on-demand here. NHK World can be seen around the world on cable and satellite TV, but you can also watch it on your computer, iOS or Android device as well.